The versatile Tenacious is a great all around tool for both casual and demanding users, the Tenacious is a viable option for both EDC and professional use. Medium size and a bit stronger construction than most folders make this a great choice for a multitude of uses! 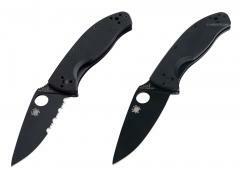 Available with straight, serrated or combination edge. Medium size, closed length a bit over 11 cm. Locking blade for user safety. Easy to open with the flick of your thumb. 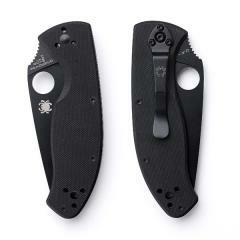 Spyderco sleek and minimalistic design. 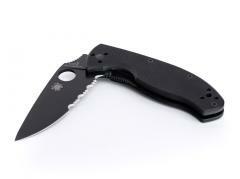 Rough textured handle scales for great grip. Belt clip and lanyard hole for carrying. 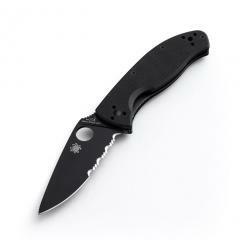 Spyderco is a leading manufacturer of folding knives, known for their good quality and suprisingly wide price range. 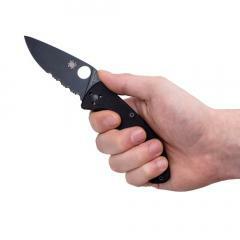 If you´re looking for "just a decent folding knife" or "the best of the best folding knives" Spyderco sure has something to offer you!